Our firm handles real estate closings. We’ve been doing them now for over ten years. A real estate closing is the final step of a negotiated contract to transfer real property from the seller to the buyer. With that in mind, we are frequently asked, “do I need a lawyer for my real estate transaction?” The answer to that question is no, you don’t need a lawyer. But you should have a lawyer, on your side, representing you, and looking out for your best interests. Having a lawyer is important because the lawyer will typically have the experience and the knowledge necessary to properly navigate your real estate transaction. With that said, here are the top 3 reasons you need a real estate lawyer for your real estate transaction. You may run into obstacles that could bring your real estate transaction to a halt. Having the right professional will help to ease those tense situations, and work through those obstacles. On the other hand, you can certainly try and do it all yourself. But in this world, we should probably stick to what we know and do best. Still, if you are set on performing a transaction without a lawyer, we would suggest at least talking to some real estate lawyers and getting their opinion on your real estate transaction. Even if it is for a quick five-minute meeting. You may think the cost involved in hiring a professional is too high. You may also think that by hiring an expert that there is an extra layer of hassle on top of the added costs. And all of that may be true. But making decisions by trying to save some money in the short run may end up costing you a lot of money in the long run. Plus, the hassle and aggravation will grow too. You are better off hiring a real estate professional early to deal with all the issues in advance before the they grow into larger and more expenses problems for you. Here are some additional tips to save money on closing costs. By hiring a real estate attorney you are buying peace of mind. You’re buying a solution. You’re buying yourself the safest and smoothest possible transaction and solutions to problems that arise. The importance of hiring the right professional cannot be overstated. 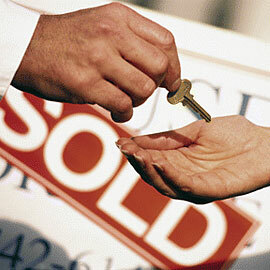 In a real estate transaction, you should have a lawyer to represent your interests. If you have any questions about your transaction, then please feel free to contact us. Buying a home for the first time is exciting. While home hunting it may be easy to get blinded by the size of the swimming pool, or the spacious open layout, or the amazing backsplash on the kitchen walls to go with those new granite and quartz counter tops and hard wood floors. When one falls in love for such a property they will often make mistakes that will regret at a later date. With that said, here are five mistakes all first time home buyers should avoid making. Overspending. Know your budget. Know your financial limits. You should meet with a lender to determine what your financial limits will be and then secure a pre-approval for an amount that you can afford. You should only start searching for a home once you know how much you can afford. And you should try to stay within your financial parameters. Don’t Assume You Will Be Making More Money. One of the lessons we all learned from the Great Recession is that many people, and lenders, believed that individuals would be making significantly more money in years to come. Don’t make such assumptions. During the Great Recession many individuals actually lost their jobs and then their homes because such assumptions were made. So if you’re about to graduate from medical school, don’t assume that you will be making significantly more money in a few years even if your career path is a bright one. Failing to Account for your Closing Costs. 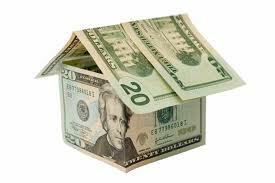 We recently discussed, in detail, seven tips that could save you money on your closing costs. In sum, don’t underestimate the impact the closing costs may have on your transaction. You may have to pay such items as homeowners insurance, property taxes, and depending on the size of your down payment, private mortgage insurance (PMI). But that is not all. You will also have to pay various third party vendors to perform necessary tasks to complete your transactions. For instance, you will likely have to pay for a home inspection, survey, title insurance, attorney fees etc. Therefore, make sure you have an understanding of what your closing cost obligations will be prior to completing your real estate transaction. Feel free to contact us today to discuss closing costs associated with your transaction in greater detail. Failing to Protect Yourself. Understand the fine print in the contract. The sales contract is typically several pages for a reason. Home inspections, for instance, could reveal some significant problems with the home. But many first time home buyers don’t understand the significance associated with such clauses and may perform such inspections outside of the agreed upon time period set forth in the contract. The same holds true with finance contingency clauses. If a buyer fails to qualify for financing, but also failed to adhere to the strict terms of the financing contingency provision in the contract, then their deposit may be end up in jeopardy. Don’t put your deposit in jeopardy. Understand your contract and ensure that all timelines are complied with or ensure that you secure the appropriate extension on such deadlines. Failing to be Realistic. Some first time home buyers are simply too optimistic and will purchase a property that has substantial problems because they love the color of the front door. Many first time home buyers will purchase a home in the wrong part of town thinking they can fix the problems with the home, but forgetting that they can’t correct the problems in the neighborhood. Yet other first time home buyers may simply be too difficult. They may submit low ball offers and then get frustrated when ever such offer is rejected. Make sure you’re realistic with your expectations.